* Some confusion here. 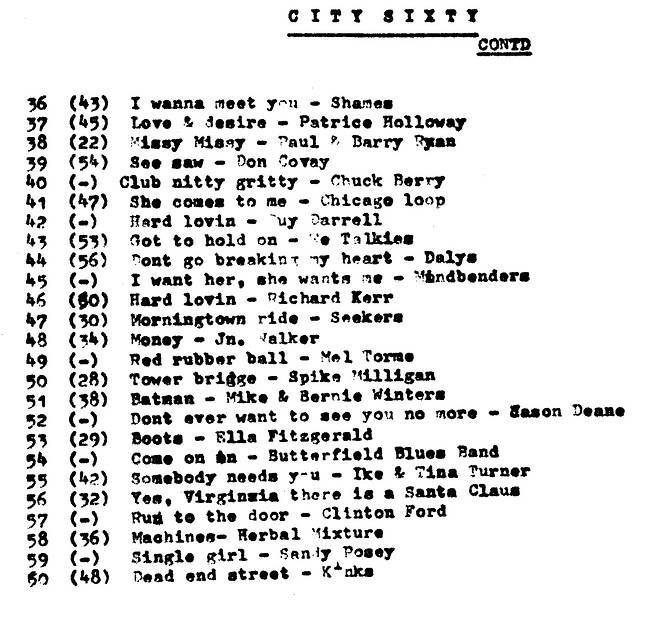 The original document lists Don Covay's See Saw at number 39, up from last week's 54. But See Saw is also listed at number 35 and last week's 54 wasn't that track. It was Sea Of Faces by Ways & Means. 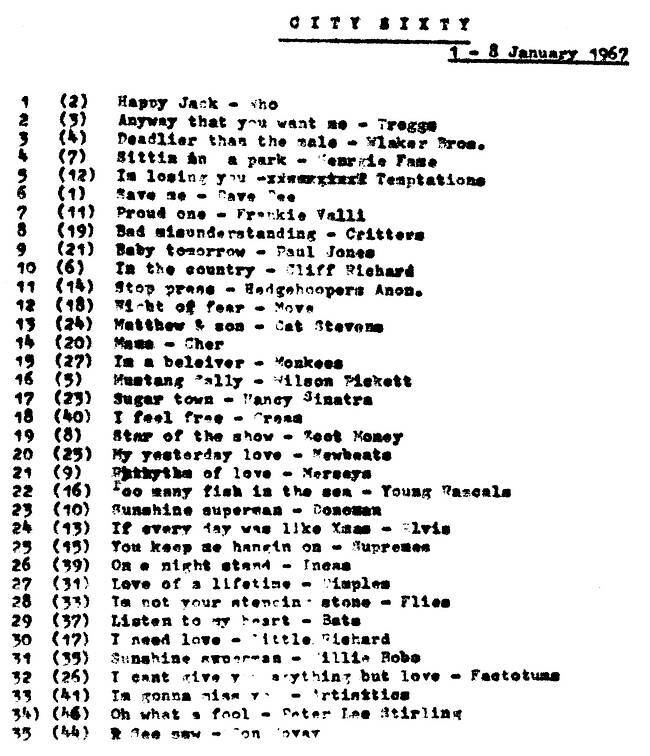 ** Although Guy Darrell's Hard Lovin' is shown as a new entry on the original document, it was actually on the chart last week at number 50, sharing the position with another version of the same song by Richard Kerr. The Radio London Fab 40 and Caroline South Countdown Of Sound for this week can be found on the Radio London website. A comparison of the various offshore charts with the actual sales chart of this week, as published in Record Retailer magazine, can be found here.